Passport problems? Yeah, tell me about it. Our first morning in Madrid had the added task of expediting a new passport for my son in addition to the 126 km trip to Sigüenza. Lucky for us the time difference and unusually hot weather helped wake us up early. Having flown the red-eye, I’m not counting the previous day at all. I think we ate ribs at my brother-in-law’s house, but I can’t be sure. 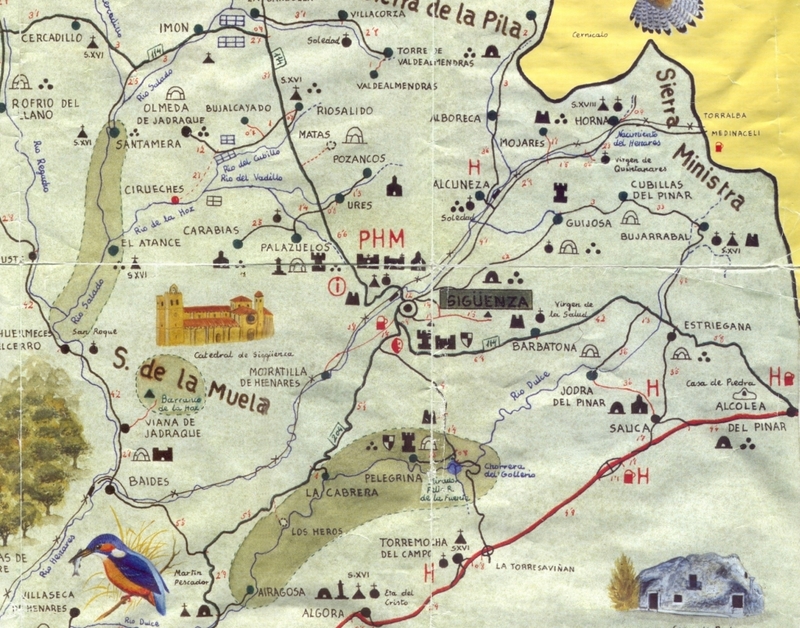 Pack for heat and bicycling around Sigüenza. Breakfast, Ride, Lunch, Nap, Walk or Spin, Merienda, Dinner. Repeat for as long as we are there. Pack bikes, go to the airport. 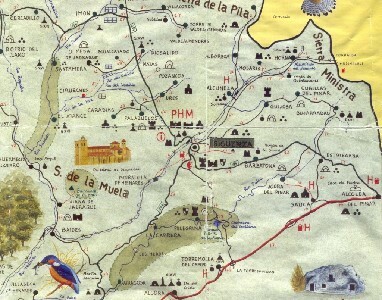 We go to Sigüenza because my wife’s family has their country house there. Sort of like going up to the Camp, kind of like Lyon Mt., but not really. I’ve been biking for decades (!) and in many places, I declare the quality and variety of bike riding around Sigüenza to be 8 out of 10. We are riding both on and off-road. The following map is our comfortable range which we can explore by bike doing 3-5 hour day-rides (me Single Speed w/Trail-a-bike).